Looking for fun, creative, and inexpensive DIY Christmas gifts? Get your craft on this holiday and skip the lines and hassle of going out for gift shopping. 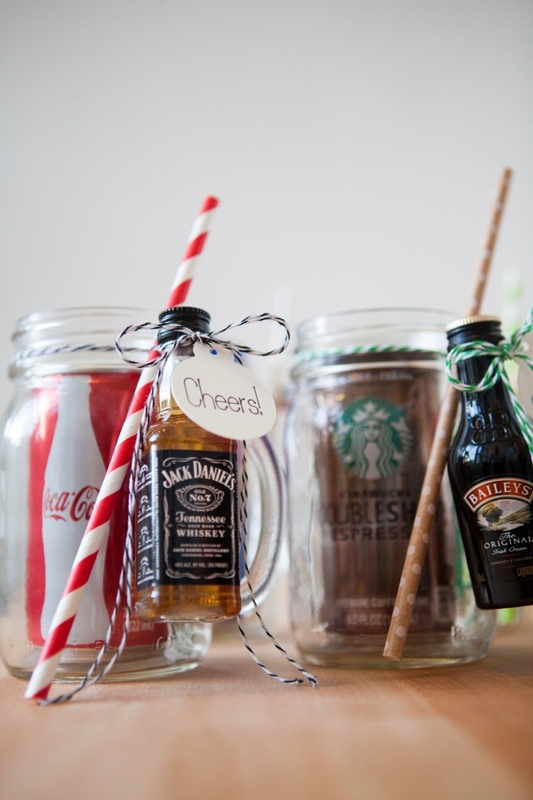 Instead, make these DIY Christmas gifts that are sure to please everyone on your list! Handmade Christmas gifts not only help save you from long lines and keep your wallet in check, but a DIY Christmas gift can be specially tailored for your loved ones. Continue reading and enjoy browsing this list and hopefully, something will ignite your creativity and find special gifts for each loved ones you have. Finding the exact gift can sometimes be a frustrating task. You don’t only have family and friends to think of, but if you’re lucky to live in with a friendly community you’ll also want to give something special next door. And if you have children, well, that means you’ll need to include their most admired teachers. The holiday season is really a difficult time for your wallet, you can’t always manage to go out and buy everyone in your list special gifts. This is where I step to help you out. I’ve compiled some of the most fun, creative, and inexpensive DIY Christmas gifts that you can make that won’t hurt your bank and also won’t consume lots of your time. What are we waiting for? Let’s get crafting! Homemade soap is easier than you thought! You can experiment with the oil blends, colors, and shapes to your liking or depend on your recipient’s preference. Who does not love the calming aroma of lavender and rejuvenating effect of mint plus the power of charcoal? This homemade lavender soap recipe is just too perfect for the women in your life this Christmas. With just 4 ingredients you can make a homemade coconut sugar scrub exfoliate and soften dry skin in the comfort of their own shower–something that comes in extra handy in the winter months when our skin is especially low in moisture. I definitely would love to receive this as a gift. To make it more special, add a little tag that has the recipe in case your recipient would like to make more once they run out. I love goat’s milk soap for its natural scent and skin-softening magic. These goat’s milk soap bars may look a little plain, but that just means there’s a lot of room to customize and personalize. The average price of bath bombs is $6 – who would want to spend that much for so little? These DIY bath bombs will surely give your recipient that amazing bath experience they’ve been dreaming about. If you’re up for a DIY challenge, then this leather cable organizer is the project for you. But there’s just one problem: you might want to keep it after making it! Best to make two, so you can gift one to yourself! Got a problem having a sound sleep? Try your sewing skills making one or two of these DIY weighted blankets. They’re very easy to make, some are even no-sew, make one for every loved one you want to have sweet dreams. 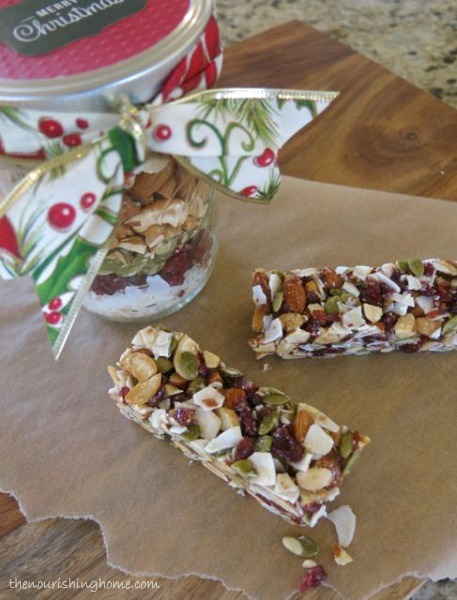 Make this easy homemade granola bars and stash them in pretty mason jars or wrap them individually in pretty paper wrappers to give out to friends and neighbors this Christmas. Too tired to bake for the holidays? Give out your ingredients instead in pretty pre-filled mason jars. This gift idea never gets old and you can make lots of flavors, depending on your recipient’s preference. Treat your loved ones with this luxurious homemade lavender lotion. Lavender is a natural fragrance that is known for its anti-anxiety properties and capacity to promote relaxation. I for myself would love to receive this as a gift. Lotion bars are super easy to make and a perfect way to save money on a cool gift, even if it is just for you.Use Christmassy molds to shape your lotion bars or wrap in colorful paper for a holiday touch. Treat your loved ones with a delicious warm chocolate drink during those cold winter nights by making this ready to mix hot chocolate recipe. Play dough isn’t really all expensive. However, to keep it safe and non-toxic, you have to know what goes on it. It’s for the kids after all and their safety is on top priority. Making it yourself gives you unlimited options to customize, you can even make it smell yummy. Because pets are family too and anyone who has a furry friend would love to have a little something for their pet. Extending your gift giving to your friend’s pet is such a unique idea. With homemade pet treats, you get to control the ingredients so that gives you the assurance of a healthy pet. When it comes to food, there’s nothing compare to a homemade – you can definitely have a taste of the love that went into it. Why settle for one when you can have 26 canning recipes to choose from? A fun and easy sewing project to surprise the mermaid lover on your list. I’m sure any little girl or even the young at heart will have a pleasant surprise with this mermaid tail blanket. If you have someone on your list that needs help in keeping her earrings organized – I’ve got here 10 DIY earring holder ideas for you to choose from. It’s all easy to make, practical and decorative. Not only is pure beeswax a beautiful golden color, it has a fresh natural scent and provides a cleansing effect on the air in your home. Give these beeswax candles to the special loved one who enjoys both natural color and smell. 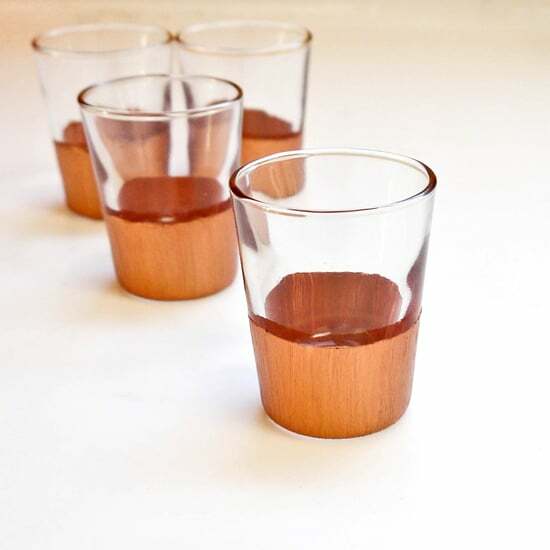 This copper-rimmed shot glass is a budget-friendly way to upgrade a normal-looking shot glass. The holidays are a perfect excuse to get drunk anyway. This cozy slippers gift idea is ingenious! Fill a pair with little trinkets or necessities you know your recipient will enjoy. Can’t afford to buy a ring? This amazingly beautiful geode ring is the perfect alternative to expensive jewelry store rings without sacrificing the look. You can make one or two for the fashionistas on your list. It’s so quick and easy to make all your cake-making friends can have one of these. I got plenty of cake-making friends and I’m so happy I found this DIY for mini dome cake stand, can’t wait to get started with my crafting. Do you know how to braid? Then, this braided leather-lace belt is for you. It’s quick and easy project to complete and perfect for the shabby chic women in your list. If you’re a mason jar hoarder, like me, you might want to let go some to make these babies. These stenciled mason jar vases only requires mason jar, spray paint, shipping labels, knife or scissors, and of course your creativity to spruce it up. 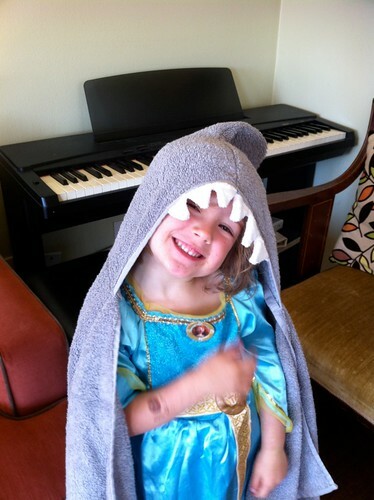 What’s not to love with this shark hooded towel? I can’t think of anything. This is super cool, I’m definitely be making this for my grandkids. Your friends will require something to put that hot chocolate in, right? 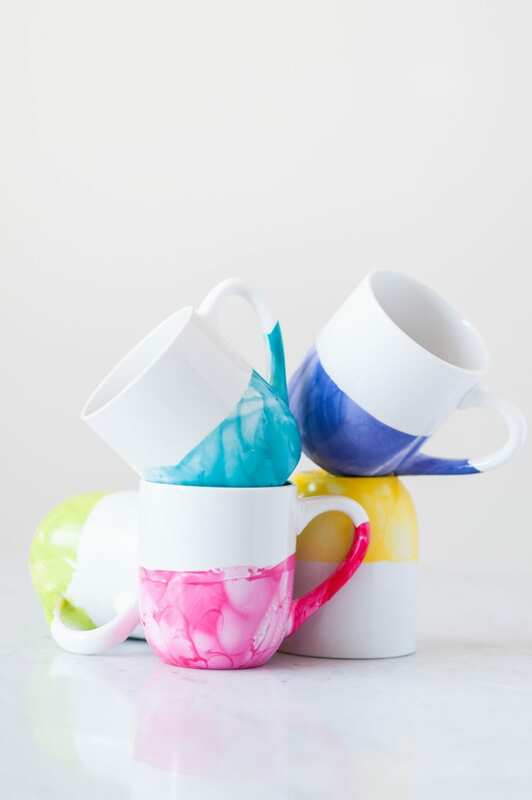 This amazingly beautiful DIY marble dipped mug, it the perfect answer. Every time they take a sip, they’ll consider you! What a splendid approach to spruce up a boring white glass! Personalized gifts are always a sure hit. 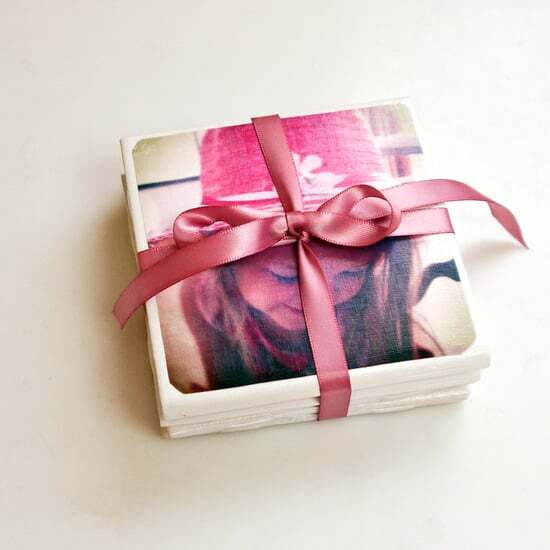 These DIY photo tile coasters are super cute and with the right photos, these coasters are going to make the grandest DIY Christmas gifts ever! In my opinion, every man who drives should have this roll-up tool organizer handy. You can choose to give him this DIY roll-up organizer with or without the tools. Bare in mind this mason jar cocktail is for adults only! If you have someone on your list who needs more than a hot chocolate to keep the cold at bay then this is the perfect gift for them. For those who enjoys market walks, no one can’t beat one of these beautiful DIY market bags. They’ll be very much appreciated by someone who needs a perfect size bag to carry it all. 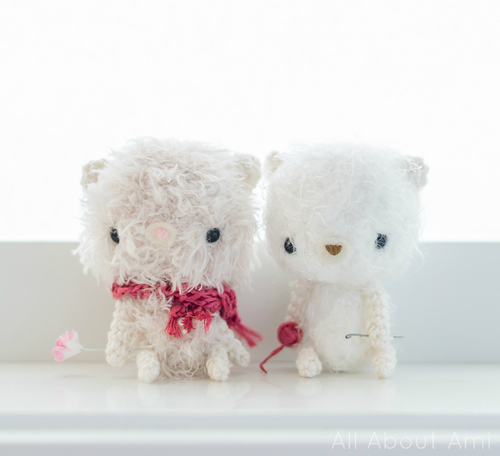 These charming little fuzzy fluff bears are made using eyelash yarn, so they’re super soft and fluffy. They’re more lovable and amusing to make in pairs so they can have a pal. You can give them exceptional accessories as well, to make them one of kind. 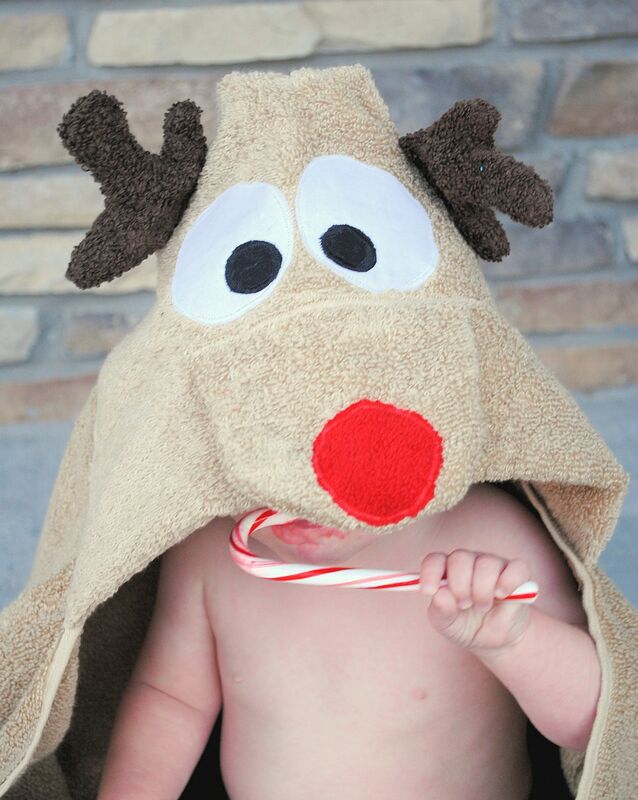 A brilliant gift for a child’s first Christmas, and is simply shouting for a photograph that will produce a lot of likes. Follow the easy tutorial and what remains is simply a question of the exact towel pieces and textures to take care of business. These gold leaf bowls look so beautiful you might just want them for display and not use it as a place to store small trinkets or auto keys. They are very simple to make and don’t fret committing a couple of errors until you get it right. So, there you have it, crafters! Your choice of 32 fun, easy, and inexpensive DIY Christmas gift for everyone on your list! Remember, to make gift-giving special it doesn’t need to be huge and expensive, it’s more about the thought you put into the gift that will surely make someone’s day. Happy Holidays! And in case you need DIY Christmas gift ideas for teens, I have 21 cool DIY Christmas gifts for teens ready for you! Did you enjoy my list of DIY Christmas gifts? Which one is your favorite? I’m excited to know! Let me know in the comments below.